I almost feel I need to write this as a formal letter. My heart has just been uplifted by what I've just read. Jason, the webmaster for Dragonmount.com, has read AND REVIEWED the next novel in the series, A Gathering Storm. He posted on July 30th. Take a look. "The Gathering Storm is, in my opinion, quite easily one of the most intense and exciting books in the entire Wheel of Time series. Yes, you read that right. I avoided writing this review right after I finished reading. Instead, I purposely waited some time to let the initial rush and enjoyment wear off. It certainly has cooled a great deal, but I can still say with grounded and sober confidence that the book is outstanding. I would rank it up there in the top 4 in the series along with The Shadow Rising, The Fires of Heaven, and The Great Hunt. Pacing-wise, I would agree with Brandon Sanderson’s statement that it’s similar to books 4-6 in the series." 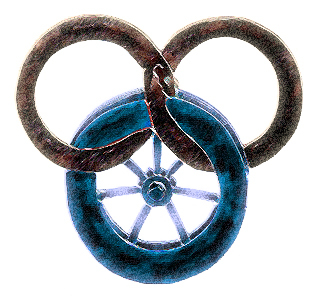 Jason is a massive fan of the series, and he'd have to be, being he runs the biggest fan site ever created for The Wheel of Time. That statement that I just quoted above has left me feeling so jubilant. I cannot wait for TGS to be released. I wish I could thank Jason personally for posting those comments. They've helped to assuage my fears.